All average PC users have a mouse and a mousepad, it takes up more than required space and Serafim thought that something had to be done about this. 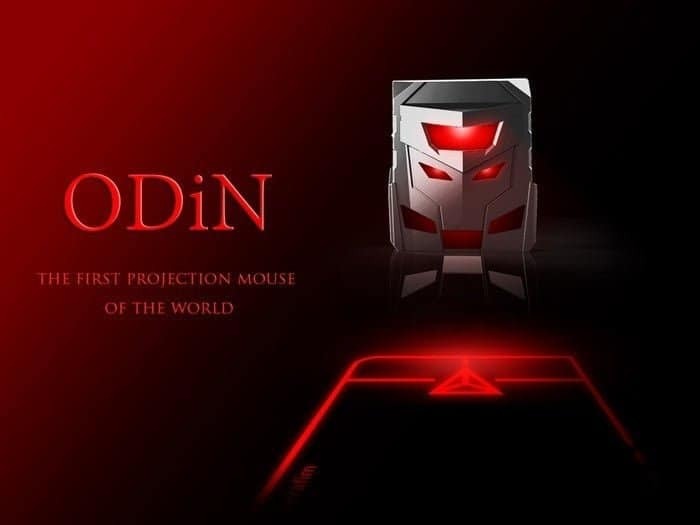 So they came up with ODiN the world’s first projection mouse, It received praises and awards at Computex and also a Jury’s Special BC award. You might be wondering, what is a projection mouse? 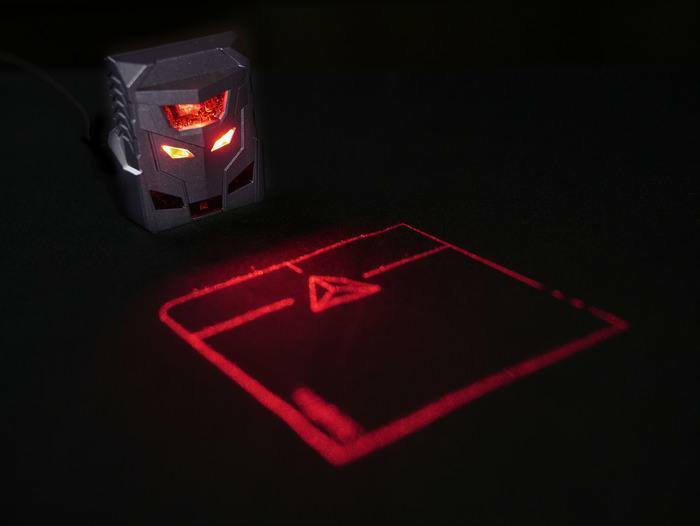 A Projection mouse uses lasers to project a touchpad onto any flat surface and you can place your fingers and use it like a touchpad on a laptop. So, what makes it unique? Of course its looks, the portability, it fits in your pocket and uses a detachable micro USB cable which is used in 80% of the smartphones worldwide. It handles really well, has support for Left, Right and middle mouse buttons. 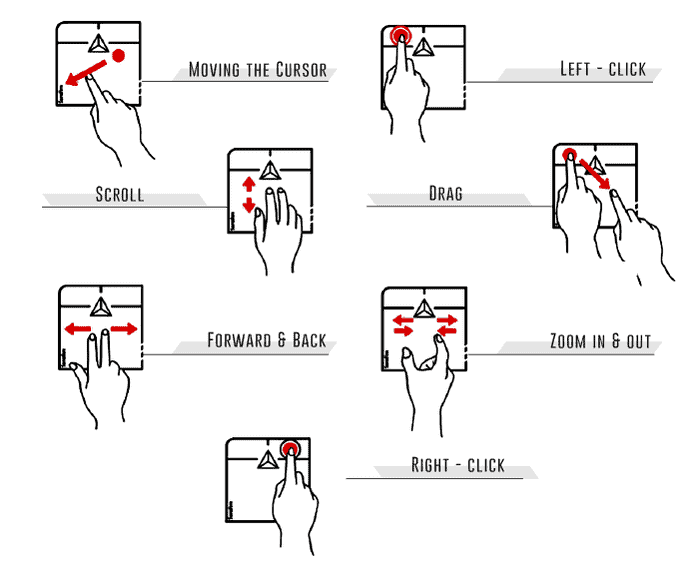 Also, a bonus is that it works really well with games too, unlike a laptop touchpad. It has been crowd-funded and got more than 200% funding. It is a one of a kind product and has also been designed brilliantly. 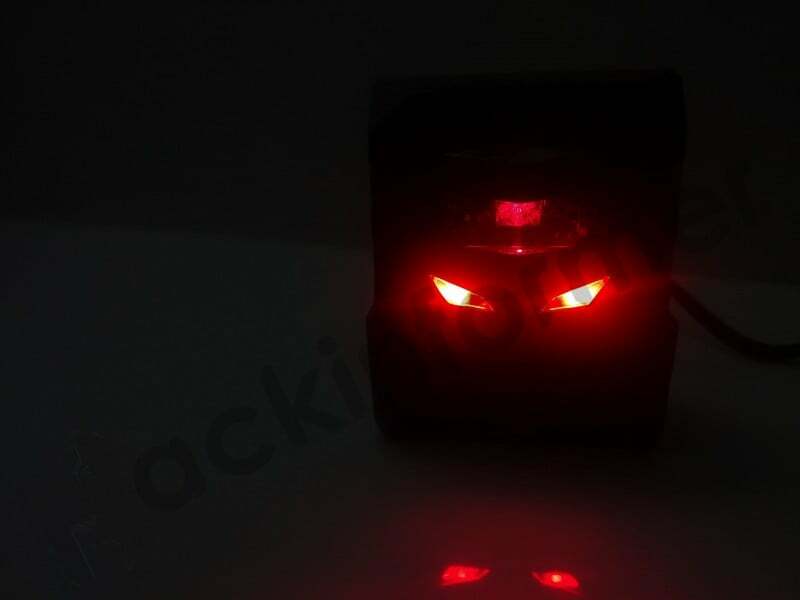 This is the beastly look of ODiN, the lights are made to look like fierce eyes, giving it a killer look overall, the build quality is quite premium. The plastic body has a nice texture and compliments all the red laser lights. Also, it comes in a very neat packaging, with instructions that are very easy to read and can help even the inexperienced to set it up and get it ready for use. Here is a 360 view of the sleekly designed product. 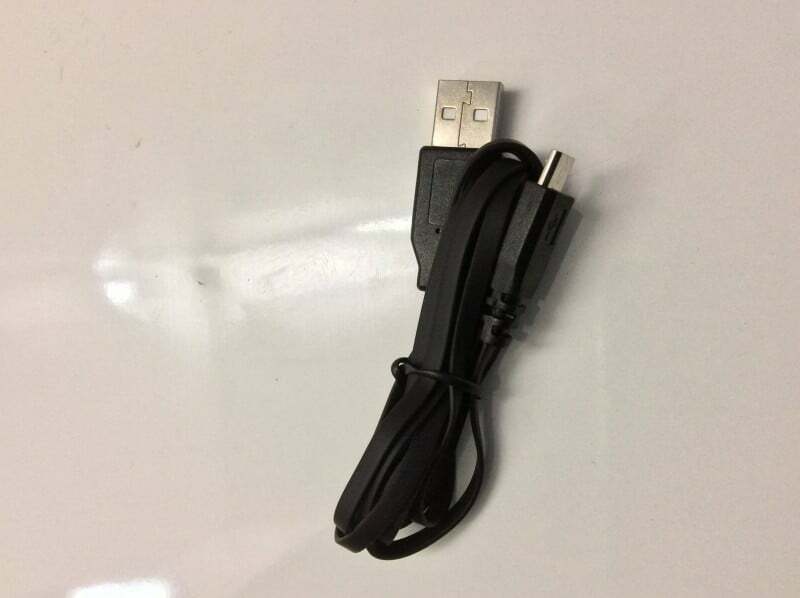 A tangle free micro USB cable is included inside the box, so you don’t have to waste all the time in untangling wires. 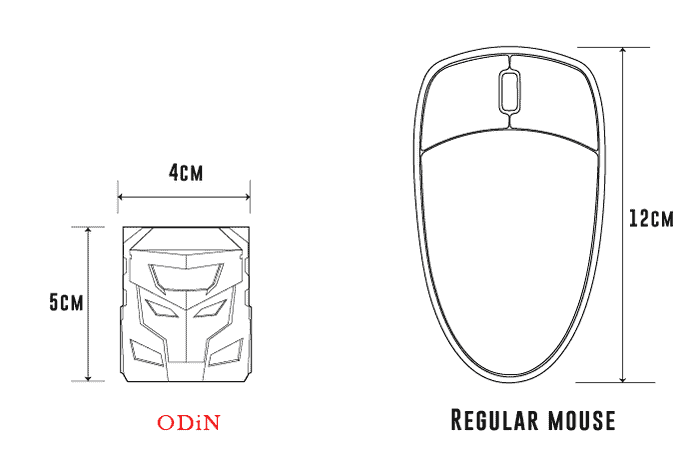 The sensitivity of ODiN is different than the normal mouse and touchpad, so an application on the PC to change the sensitivity for ODiN would be a big improvement. For people concerned about the harmful effects of the lasers used in ODiN, As stated by Serafim: it meets the regulations of IEC-60825 Class I and is safe to use.But do not point the laser at your eyes, it can cause harm. 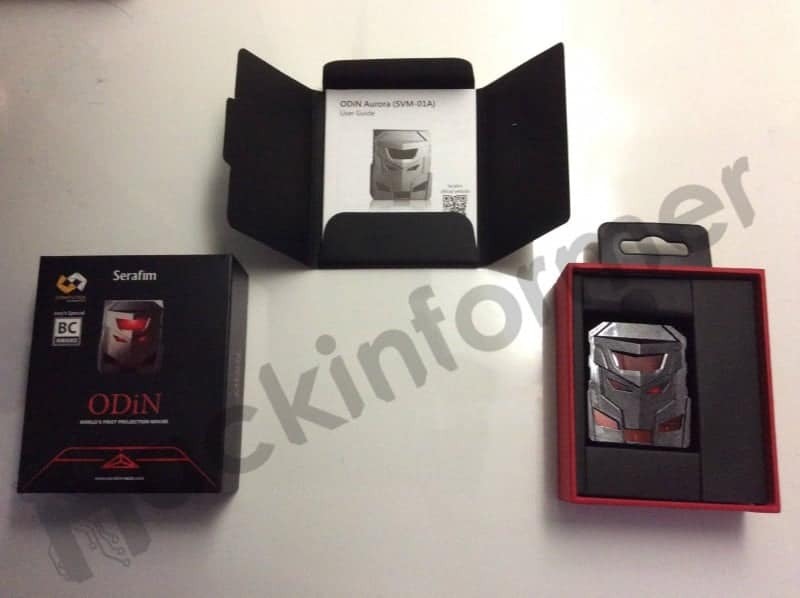 We hope that you liked ODiN and will move on to give it a quick thought, it is how the mouse technology is slowly revolutionizing. Also, I used ODiN while writing this post and it has been a pleasant experience, I was easily able to place and arrange images, and carry out all normal tasks.